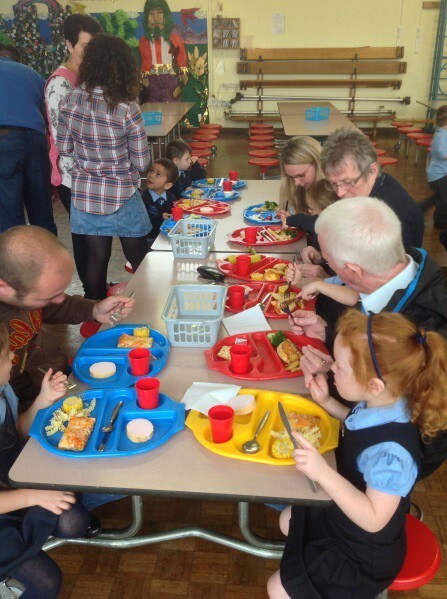 During September the whole school celebrated the 100th birthday of the author Roald Dahl. 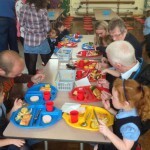 The children were encouraged to read and share Roald Dahl stories, eat a Roald Dahl themed lunch in school, and take part in a range of activities in their classes. 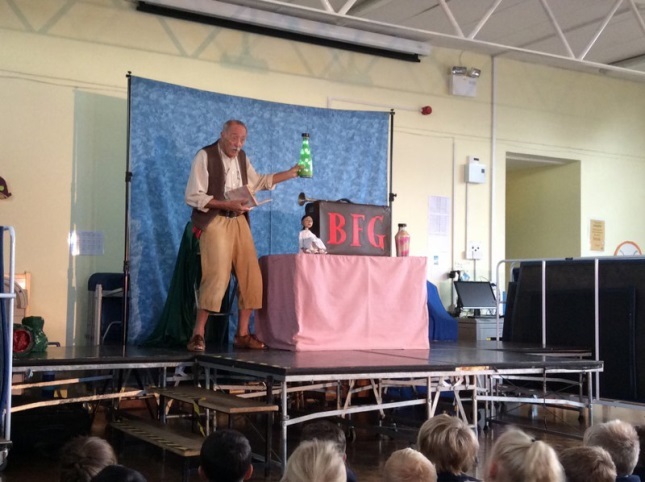 The month ended with a drama presentation of the BFG as a one man show. 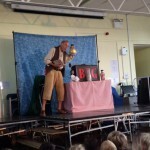 The amazing tale held the children spellbound. The “whizzpopping” was particularly well received! 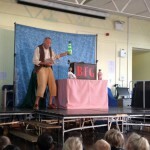 The children really enjoyed the Roald Dahl BFG performance today and have really been enthused by it. There was lots of talk of snozzcumbers and whizz-popping today! The actor was great and the props were fantastic, bringing the show to life. Lots of children have said they really want to watch and read the BFG book at home too. 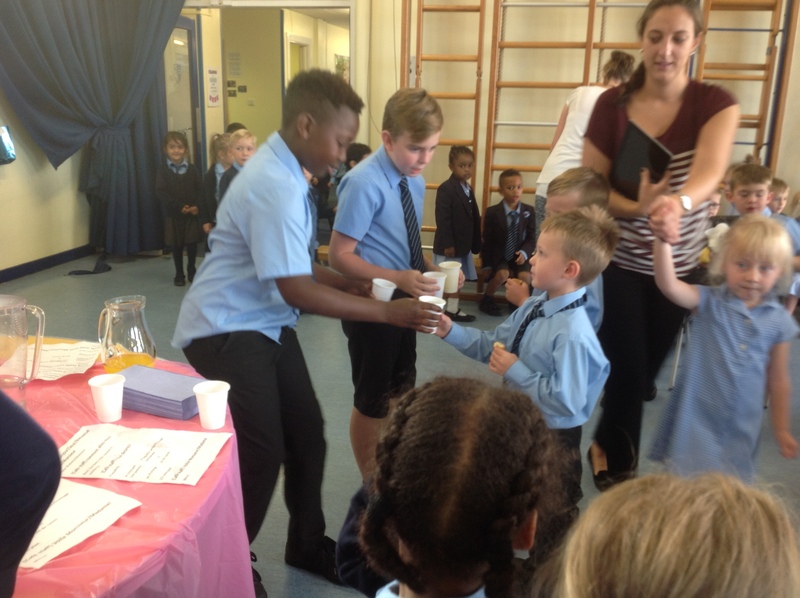 Year One really enjoyed their work based on the Tiger that Came to Tea which culminated in a fantastic tea party which their parents were all invited too! Reception really enjoyed watching the builders and building their own walls/ houses using the large wooden blocks. 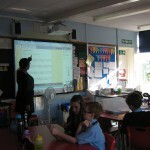 Children really enjoyed telling their own stories and writing them together with their teacher. The children enjoyed retelling their story and acting it out to the other children. 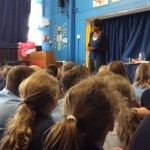 October also saw us welcome Valerie Bloom to the school for some fabulous performance poetry. 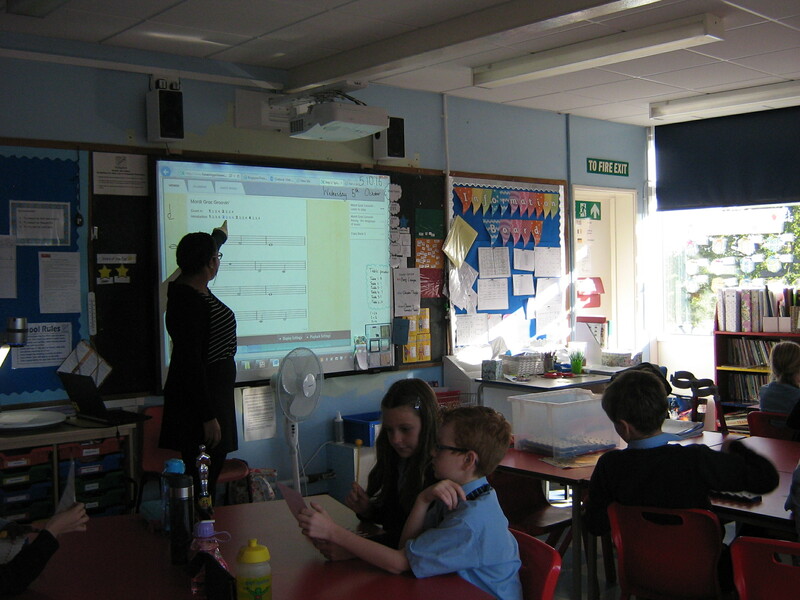 All the children were engaged by the performance and picked up ideas for their own work and writing. 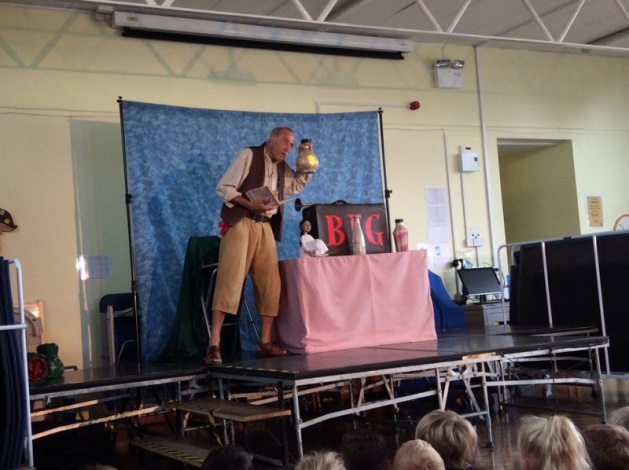 Year 3 had a wonderful time when the BFG came to visit and tell them the famous story by Roald Dahl. They have now been enjoying reading The Twits in class. 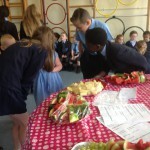 The children thought the French market was fantastic and liked learning the new French vocabulary. They happily tasted the food and ‘drink’ (orange of blackcurrant) of France. It was also great performing head shoulders knees and toes, in French, to the reception children. This month we have been busy learning about the Anglo Saxons; where they came from, how they lived and why they invaded Britain. 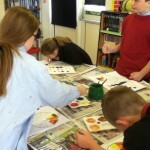 Some of the children have already made their Anglo Saxon house homework projects and they are looking fabulous! We look forward to seeing the rest. 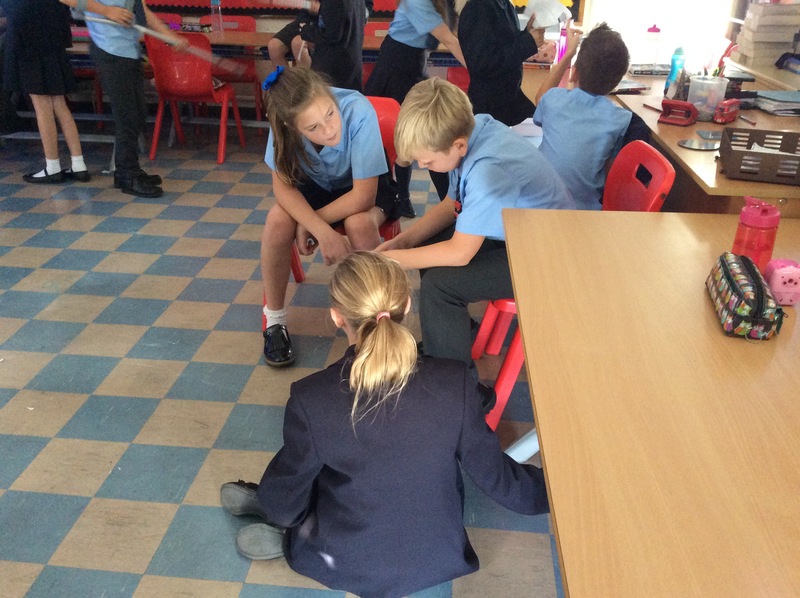 In Science we have really enjoyed learning about the digestive system, especially using the correct names for different parts of the body and our re-enactment of how our food is broken up in our stomachs using ziplock bags, bread and orange juice. Yuck! We have also been doing some orienteering using compasses and have been writing our own orienteering questions using compass points. 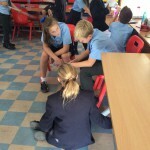 Our month ended with French day and in particular a visit to the fabulous French Café. 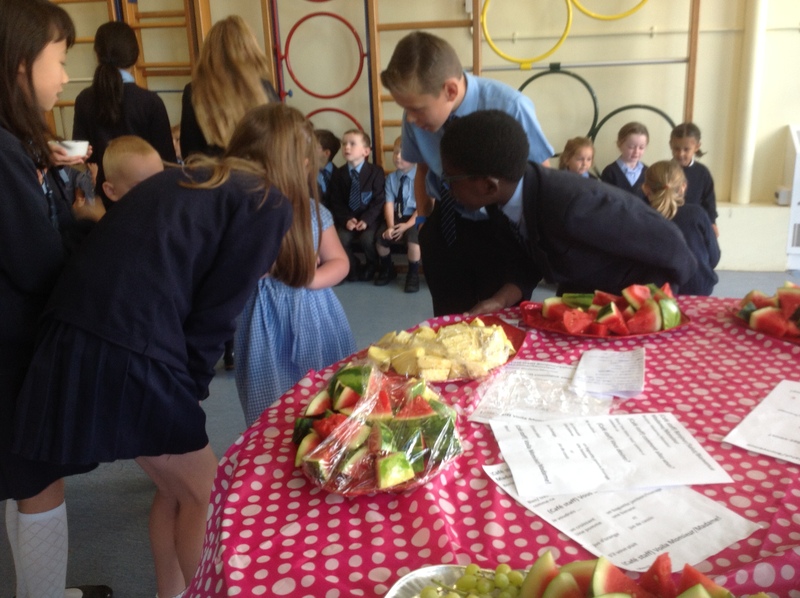 We really enjoyed ordering in French and talking to the Year 6 café staff. 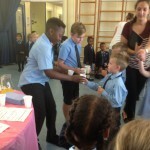 The term started with a Roald Dahl themed week to coincide with the great author’s centenary. We had a visit from the BFG, immersed ourselves in the books, and then we polished off the week with a Dahl lunch. 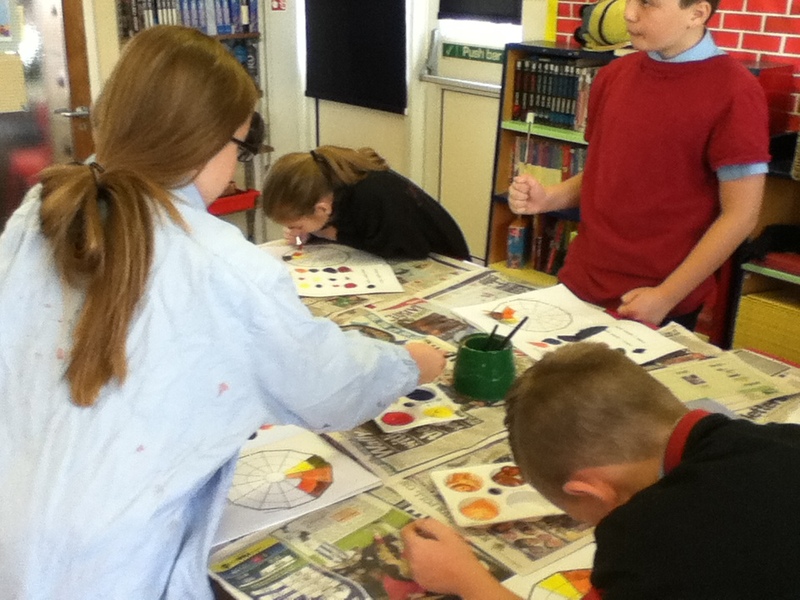 Later in the term, the Y6 pupils donned aprons and a Gallic accent and waited on the other pupils in the French café. This was the culmination of our international day, where each year group studied a different country from around the world in order to gain a more global perspective. The Y5 pupils went to see the world-class artwork at the National Gallery this month. There, experts on the pictures spoke to us about individual paintings, explaining why they’ve been selected to hang in the nation’s greatest gallery. These talks really are an eye-opener. We left the gallery wishing that we could stay longer. It’s only a few minutes away from Upminster by train, so why don’t you pay a visit this half-term holiday? No Pens Wednesday went down a storm. On this day, no-one is allowed to write. It forces the teachers to think of new ways of getting complex ideas across, and it gives our fingers a rest. 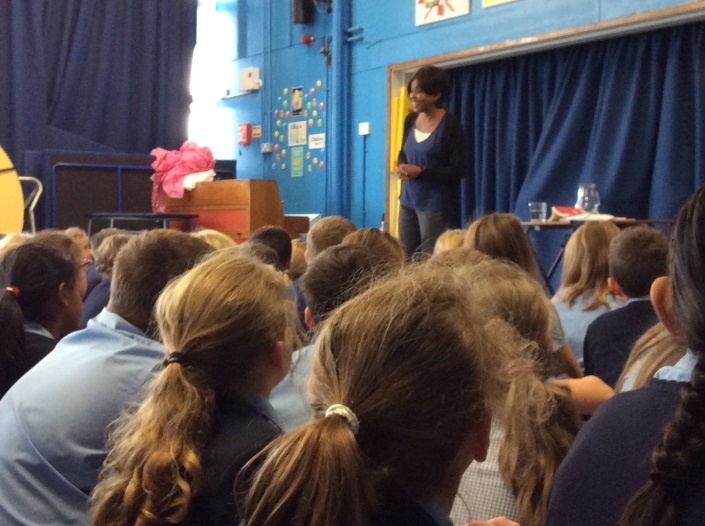 To top off the half-term, we had a visit from Valerie Bloom, the renowned poet. She took us through the process of writing verse, and gave us all a taste for life as a professional author.